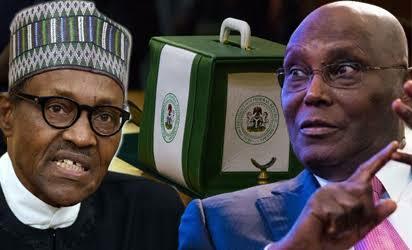 The Peoples Democratic Party (PDP) candidate at the last presidential election, Atiku Abubakar, has been granted leave for substituted service on the All Progressives Congress (APC) and President Muhammadu Buhari, by the Presidential Election Petition Tribunal sitting in Abuja. Earlier in a motion ex parte dated March 2, 2019, Chris Uche, Atiku’s counsel, had asked the court for leave for substituted service on the APC. On Wednesday, in the application, which was brought upon seven grounds, Uche said all efforts to serve the APC proved abortive, but he added that the Independent National Electoral Commission (INEC) had been served. The three-man panel led by Justice Abdul Aboki therefore granted the application. Atiku and his party are challenging the outcome of the election on the grounds of alleged massive rigging, malpractices substantial non-compliance with the electoral laws. In the petition, Atiku and PDP are praying that its candidate be declared winner of the February 23 presidential election. They are also asking the tribunal to nullify the poll and order for a fresh election that will be conducted in line with the provisions of the electoral laws.